The must-have guide to the Moomins, The World of Moominvalley, will be published on 19th October 2017 by Macmillan Children’s Books. The World of Moominvalley, will be published on 19th October 2017 by Macmillan Children’s Books. Discover the magical world of Moominvalley this Autumn, with this beautiful and unique book – the ultimate guide to The Moomins for diehard fans and newcomers alike to treasure, forever. Written by award-winning children's author Philip Ardagh with a foreword and contributions from best-selling children's author, screenwriter and Moomin devotee, Frank Cottrell-Boyce. The World of Moominvalley is a fun, fascinating and unprecedented look at the wonderful world of the Moomins and their creator, Tove Jansson. This sumptuous hardback is filled with illustrated maps and family trees, facts about Moomin behaviour and habits, all you could wish to know about each beloved character and the world in which they live. Find out how to spot a Moomin, all about Moomintroll's adventures, Moominmamma's handbag, Moominpappa's diary and meet the extended Moomin family including Snorkmaiden, Snufkin, Sniff and Little My. The World of Moominvalley also takes the reader behind the studio door of the uniquely talented, Tove Jansson, giving insight into the Moomin creator’s own life, whose magical stories of adventure, friendship and innocence have delighted generations of children since the first book was published, in Swedish, in 1945. With original Moomin drawings, rarely seen colour studies, spreads from Tove’s original sketchbooks and stunning character sketches, this book is the essential bible of Moominvalley. The book also includes fascinating family photographs, maps and Tove's childhood drawings from the celebrated Moomin archive in Finland. To work on such a comprehensive book about The Moomins, with access to such amazing source material from Tove Jansson’s archive, is a dream come true. It's a wonderful opportunity to explore the characters and stories themselves, along with the remarkable illustrations. I really hope we've created a fitting tribute to Tove Jansson’s truly unique books. Tove Jansson turned Finland into a magical, improbable land, and reminded us – more vividly, more joyfully than anyone I can think of – of just how magical and how very improbable life itself really is. Life in Moominvalley is all about family and friendship, being kind to one another, a deep love and respect for nature and a passion for adventures – but always returning home to a nice warm meal and a cosy bed at the end of the day! 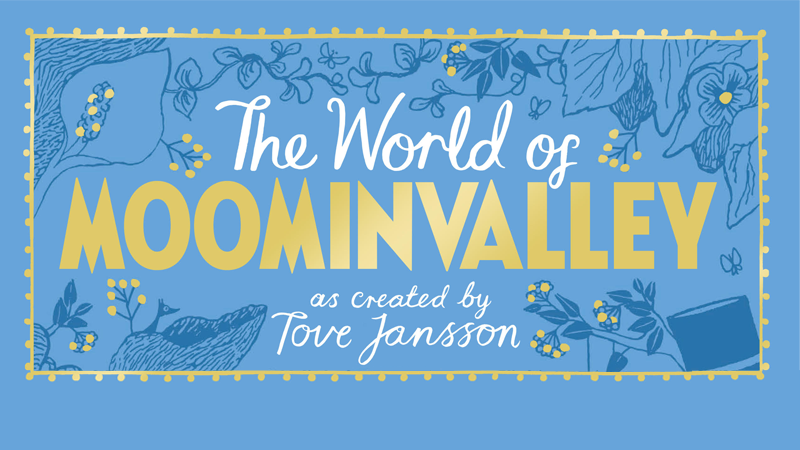 We couldn’t have hoped for a better author to this guide than Philip Ardagh, who I’m sure would be welcome in Moominvalley any time and who I trust will do a wonderful job of sharing the original values and charm of Tove’s stories with his readers. The World of Moominvalley is published at the peak of a year filled with exciting Moomin events, coinciding with the 100th anniversary of Finland’s independence from Russia: an interactive exhibition at Southbank Centre, a Moomin-themed Easter festival at Kew Gardens and the UK’s first Jansson retrospective at the Dulwich Picture Gallery this Autumn, bringing together 150 works of art from Tove Jansson.